Richard’s ability to bring together the best team for a job, coupled with a clear design focus and intuitive understanding of how cities and people interact have ensured a string of successful commissions and projects and made a major impact on contemporary architecture. Key projects include the Centre Pompidou, Paris, Lloyd’s of London and Terminal 4 Madrid Barajas Airport. 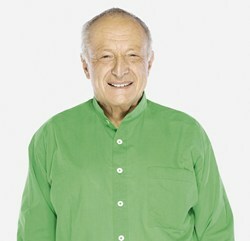 Since founding the practice in 1977, Richard Rogers has gained international reknown as an architect and urbanist. He is the 2007 Pritzker Architecture Prize Laureate, recipient of the 1985 RIBA Gold Medal and the 2006 Golden Lion for Lifetime Achievement (La Biennale di Venezia). He was knighted in 1991, made a life peer in 1996 and a Member of the Order of the Companions of Honour (CH) in 2008. In 1995, he was the first architect to be invited to give the BBC Reith Lectures – a series entitled ‘Cities for a Small Planet’ – and in 1998 was appointed by the Deputy Prime Minister to chair the UK Government’s Urban Task Force on the state of our cities. He was Chief Advisor on Architecture and Urbanism to the Mayor of London, Ken Livingstone and a design advisor to the current Mayor of London, Boris Johnson. He has also been an Advisor to the Mayor of Barcelona’s Urban Strategies Council.